Laura Brocklebank has worked and volunteered in the Pittsburgh nonprofit community for most of her adult life. She has previously worked as a professional fundraiser at Magee-Womens Research Institute & Foundation and Family Services of Western PA, focusing on annual giving and event fundraising. Currently she works as the Development & Communications Manager at The Kingsley Association, where she manages internal and external communications, as well as all fundraising activities. Laura has a Bachelor's degree in Communications from the University of Pittsburgh and a Masters degree in Integrated Marketing Communications from Duquesne University. As a volunteer Laura has served local women's shelters and mentoring programs for youth. Laura has volunteered with the Animal Rescue League of Western PA as a team lead, committee member, mentor, cat cuddler, and foster parent for more than seven years. She has previously been the Volunteer Manager and a foster parent for Biggies Bullies, a non-profit organization devoted to rescuing, rehabilitating, and re-homing pit bull and bully breed-type dogs in Pittsburgh, PA and the surrounding areas, as well as educating the public on responsible pet ownership and the importance of spaying and neutering their pets. ﻿Jennifer Pease has more than a decade of experience in the nonprofit and animal rescue community. She has served the Animal Rescue League of Western PA as foster and human resources coordinator. At Family House, she dedicated her time to management, development, administration, and events. She also served UPMC Presbyterian Shadyside as volunteer coordinator before transitioning to proposal coordinator at Bombardier Transportation. At the Bayer Center for Nonprofit Management, she now focuses her efforts on creating community partnerships as the program specialist for the Covestro Institute for Engagement. Jennifer graduated from the University of Pittsburgh with a Bachelor's degree in English writing and maintains a public and professional writing certificate that focuses on nonprofit work. 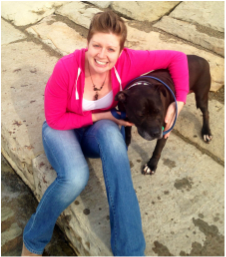 In a volunteer capacity, Jennifer has represented Hello Bully pit bull rescue as a volunteer, grants committee chair, and board member. She volunteered for Family House in many capacities. At WYEP radio station, she is a membership campaign captain and event volunteer. She continues to volunteer for the Animal Rescue League as a team lead, mentor, and committee member. She represents the Humane Society of the United States as a national disaster animal response team volunteer. As a member of the Steel City Road Runners Club, she volunteered as a running coach and Dog Jog program liaison to the Animal Rescue League. At Saint Paul Cathedral in Pittsburgh, she is a lector and young adult ministry steering committee member. She also served the office of Mayor-elect Bill Peduto as a transition committee member. Most recently she became a Strong Women Strong Girls professional mentor and an advisory board member of the Pittsburgh Veterinary Specialty and Emergency Center's Animal Care and Assistance Fund. Cassie Conti began her volunteer career more than a decade ago, cleaning kennels, cat cages, and walking dogs at the Clarion County Humane Society, and has dedicated her life to the service of others. Cassie’s passion for helping those in need has unfolded as she’s reached out to various non-profit organizations. Using social media and Amazon wish lists, she is able to purchase gifts, home goods and grocery gift cards for local families in need. As a spin instructor, she organizes "spin-a-thons" to raise donations for those families and the animals at Animal Rescue League of Western PA (ARL). 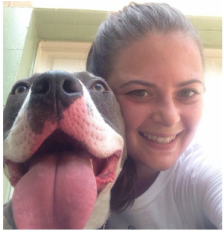 Cassie is an active volunteer at the ARL, serving as a foster and dog jog mentor. Cassie is also one of the Facebook managers for Paws Over Pittsburgh, the official Animal Rescue League and Wildlife Center's marathon charity group. The mother of four, Cassie’s commitment to improving the lives of shelter animals is nurtured in her children, who assist Cassie with caring for foster cats and dogs, as well as raising money for the ARL. In 2012 and 2013, her daughter, Claire, through Cassie’s social media connections, raised nearly $10,000 in donations and goods.